Always use clean material and boil off the bottle and the teat to ensure good hygiene. For the right amount of milk you have to mix approximately 7,5 gram Farm Food No. 1 into 25 ml water, or 30 gram of Farm Food No. 1 per 100 ml water. Because the density of the powder increases over time, it is useful to weigh the correct amount all the time using a scale. Stir the powder in warm water (40-50°C). Let the milk cool down to ± 38°C. The daily amount of milk that a puppy/kitten needs is dependent on its weight. 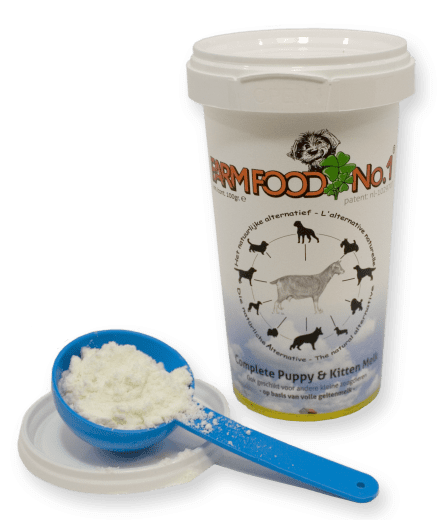 Approximate values: puppies 15 ml dissolved milk per 100 gram body weight per day and kittens 20 ml dissolved milk per 100 gram body weight per day. For example a puppy of 300 gram needs approximately 3 x 15 = 45 ml milk per day and a kitten of 80 gram approximately 0,8 x 20 = 16 ml per day. Feed until the young animal is satisfied, unless it is the first feeding. In this case, feed less but more often. For young mammals it is very important that they are fed regularly. 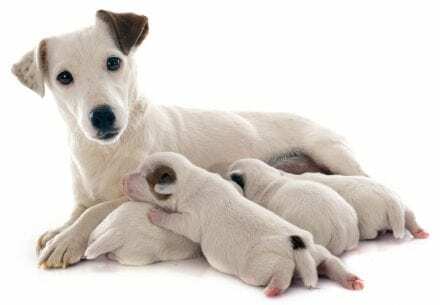 When the mother’s dog initially does not have milk, it is very difficult to estimate whether the puppy sometimes gets some milk from the mother. That is why it is very important to assess the need of the young animal and it is important to supplement feeding with Farm Food No. 1. Always continue to stimulate the young mammals to drink from their mother. Puppies, kittens and other new-born small mammals that are less than a week old have to be fed every two hours, ten times a day. After 7 days you can feed every 2 ½ hours and after 14 days every three hours. Usually you can skip one or two feedings at night. When the mother has too little milk or when the nest is large, then it is important to supplement feeding with Farm Food No. 1. Regarding the required antibodies, it is important that puppies, kittens and/or other new-born small mammals get as much mother’s milk as possible, especially in their first week. That is why it is so important to keep stimulating the new-born animals to drink in turns sufficiently from their mother. The easiest method to reach this goal is to divide the amount of powder per liter in two, so that the liquid requirements are met with a part of the feeding requirement remaining present. 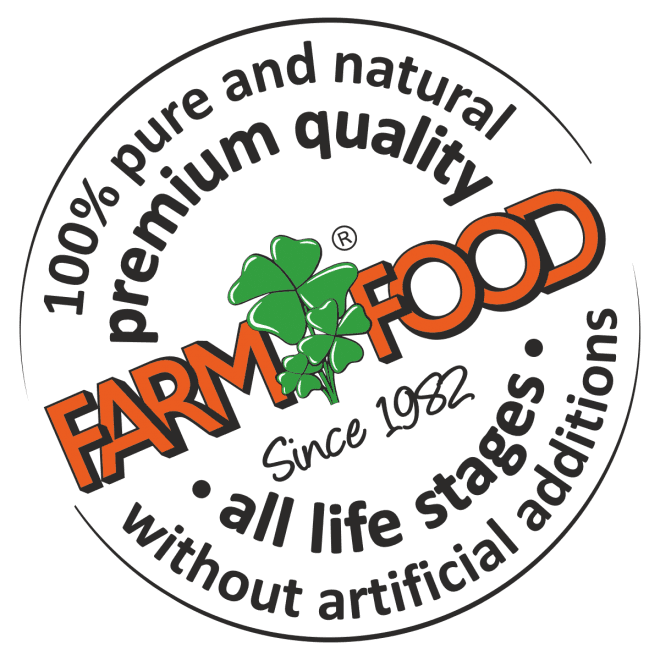 In case the babies are not drinking sufficiently (or not willing to drink), you can always supplement feedings with Farm Food No. 1. If necessary you can switch over to the standard dosage in the second week. It is very difficult to estimate how much milk the baby animal gets via his mother and if all of the babies drink as much. That is why it is very important to have a look at the need of each young animal individually. IMPORTANT: Feed with your eyes! Not one baby mammal is the same. Massage the bellies of the puppies, kittens and/or new-born young mammal after each feeding to help with the bowel movement! During the pregnancy and the nursing period, the mother dog needs a lot of nutrients and could therefore; next to the usual feeding also drink Farm Food No. 1 as a supplementary feeding to gain some extra strength and to stimulate her milk production.